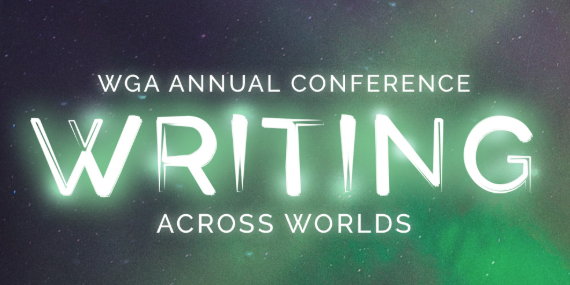 Our 2019 writers’ conference, Writing Across Worlds, will be held June 7 – 9 at the Coast Edmonton Plaza Hotel. Themes will explore literary works that cross forms, genres, and cultures, as well as how storytelling is crossing into new realms—from the digital sphere to the sleeves of our coffee cups—and into the psychological space of our daily routines. We will offer keynote lectures, panel discussions, networking and social opportunities, and individual workshops devoted to creative nonfiction, poetry, fiction, and speculative fiction. All writers from across the province and beyond are welcome to register. Three spotlight presenters include Griffin-nominated poet and novelist Ian Williams, (Reproduction, Penguin Random House, 2019), accomplished author Larissa Lai (The Tiger Flu, Arsenal Pulp, 2018), and Senior Agent with the Transatlantic Agency, Carolyn Forde. Before her current role with Toronto-based Transatlantic, Carolyn was an agent and International Rights Director at Westwood Creative Artists for 14 years. Our full schedule of sessions and presenters are currently showcased on our website.